Back in the days when I was writing for "another website", I did a review of Olloclip's 4-in-1 lens for the iPhone 6 and 6 Plus ($79.99). Now while I love the fact that I can take ultra-wide angle, fisheye, and macro photos with my iPhone 6 Plus, I'm more of a fan of telephoto lenses. Well, it didn't take long for Olloclip to come out with the answer to my wishes with its new Telephoto + CPL (circular polarizing lens) for iPhone 6 and 6 Plus ($99.99). The Telephoto + CPL lens follows the new design meme of snapping into a wearable lanyard pendant in bright green, light blue or black -- it's nice to be able to carry your lenses without shoving them into a pocket where they might be scratched by keys. The lens kit itself has a total height of 1.08 inches (27.4 mm), a width of 2.22 inches (56.4 mm) and a depth of 1.37 inches (34.8 mm), weighing in at just 1.3 ounces (36.9 grams). Like the 4-in-1 lens, the Telephoto + CPL is two-sided. On one side is the polarizing lens, which of course can be rotated to reduce glare and reflections off of water, metallic surfaces, or even dust in the air. I've always loved how polarizing filters can turn a somewhat hazy sky into deep blue, and how it reduces the myriad reflections that come off of lakes and oceans. The other side of the lens is the telephoto. 2X doesn't sound like much, but it's quite nice for a lot of purposes. The very shallow depth of field provided by the lens is very handy for portraiture, as it's easy to get a nice bokeh effect (blurring in the background) while focusing on your subject. Let's take a look at some more photos to see how the circular polarizing lens works. The photos above really show how a polarizing filter can take the dazzlingly bright and glaring skies of Colorado and tone them down a bit... which is why I'm a fan of polarizing filters. Of course, the polarized image is a bit over the top; usually, I'll turn the filter just enough to get rid of the glare but not get that dark blue sky. If you've been waiting for a telephoto lens for your iPhone, this is really a good way to go. $99 won't break the bank, and you'll get just enough of a telephoto effect -- although not perfect -- to help when you need it. For those who would rather consider hooking up their iPhones to telescopes or high-powered binoculars, I highly recommend the SnapZoom, a $74.95 Kickstarter graduate that works with just about any optics you may already own. 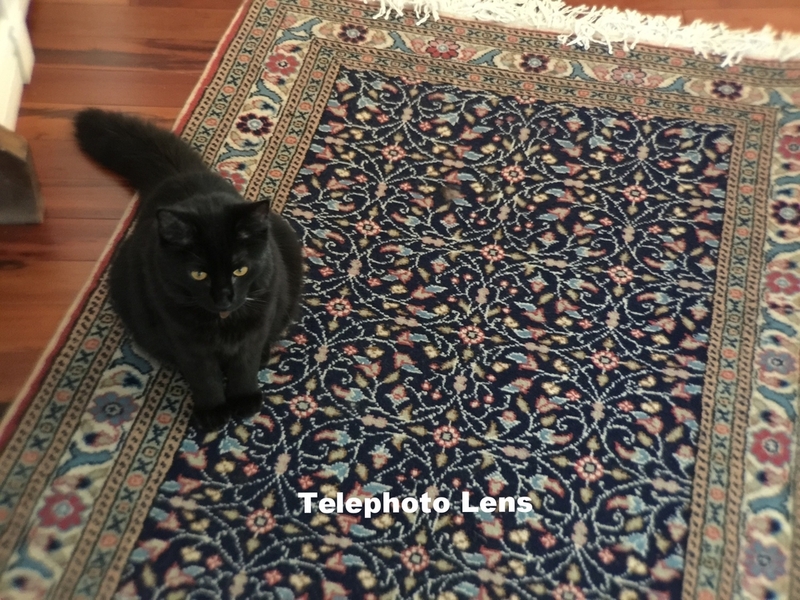 In conclusion, I'm not going to give the Olloclip Telephoto + CPL Lens for iPhone 6 and 6 Plus a top rating, mostly because of the blurring around the edges of the images taken with the telephoto lens. If you can work around that by cropping images so that the edges don't appear in the photos, you'll probably be quite happy.